You know when is NOT a good time for the A/C to go out in Tucson? Now. Pretty much now is not a good time. I knew there was a problem first thing when I woke up in the morning. 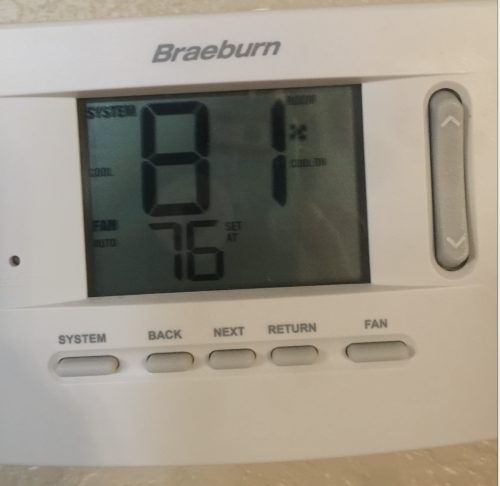 We set the A/C to 76 degrees for overnight (higher during the day), but it showed that it was 81 degrees inside. Uh-oh. I heard the fan running, but when I went outside I saw the unit was clearly not on. I double-checked the thermostat to make sure it was truly set to “cool” and not just to fan only. It was, indeed, on the right setting. Luckily, the A/C is basically brand new. The entire HVAC system was replaced when we bought the house just a couple years ago so all the parts and unit and everything are covered by warranty. I’d need to double-check but the installation and labor may still be covered under warranty, too. The bad news is, since this is warranty work, we have to use the same company as originally installed it. And they can’t come out until at least 5pm this evening….maybe later. Gulp. It’s going to be a long, hot day! 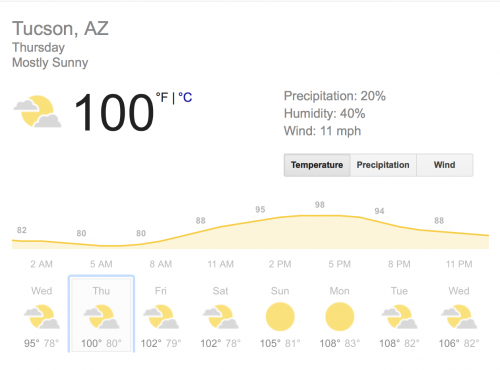 A couple of “bright sides” …..at least this happened on a day when the high is “only” 100 degrees (in Tucson, we regularly get up into the 110’s during summer). And at least this happened on a day when the kids are in camp so we aren’t all stuck sitting miserably inside the burning hot house. And at least (HOPEFULLY) *fingers crossed* whatever the issue is should be covered and not cost us an arm-and-a-leg since the unit is still so new. We had a bad monsoon a few days ago with flooding on the side of our house where the unit is located, so we’re wondering if that might have caused some blockage or other issue with the unit??? Although…..not sure that would be covered since that’s “nature” and not a manufacturer’s defect??? No idea. At this point, we’re crossing our fingers and hoping for the best and saying a little prayer that the repair folks will be out this evening and be able to fix the unit without a long delay or the need to order additional parts, etc. In the meantime….I need to do some quick thinking to change up our dinner plans. I’d planned a sausage and veggie sheet-pan meal (in the oven), but ain’t no way I’m going to be heating my house up like that. Time for Plan B: Quick thaw some chicken to throw in the crockpot so I don’t have to use the oven or stove! What’s a favorite crock-pot meal (preferably with chicken breasts, as that’s what I’ve got on hand)? Have you tried changing the batteries on the thermostat? The same thing happened to me last weekend-the fan was running but no air was coming in and my house was a sauna. I have a brand new AC unit so I was very upset. Then I changed the batteries and everything started working again and I felt a little foolish and very relieved. Yes! This! I’ve had the exact same thing. Good thing its under warranty! 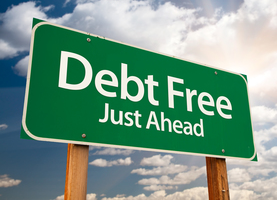 Do you have maintenance each year? If not they might ding you on the warranty coverage. You should have thrown your planned sheet pan meal onto some foil and put it all on your grill. I do it all summer long!